Processing tomato harvest. 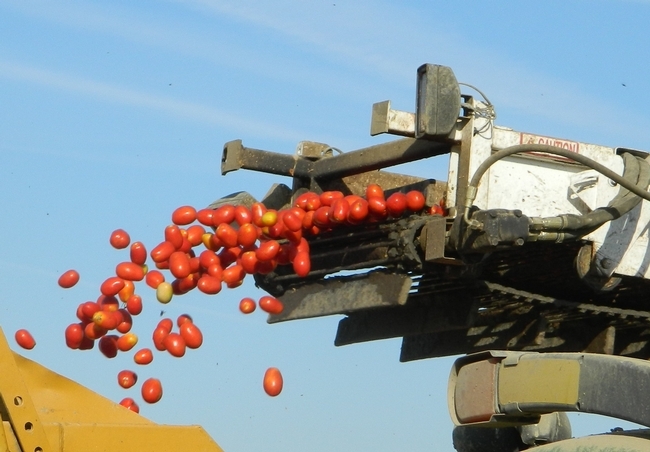 A new report estimates costs and returns for of processing tomatoes in Fresno County and provides an overview of common production practices related to irrigation, fertility and pest management. A new study on the costs and returns of producing processing tomatoes in Fresno County and the central San Joaquin Valley has been released by the UC ANR Agricultural Issues Center. Growers contemplating crops to grow may use the estimates to help decide whether to plant processing tomatoes. The report estimates costs and returns and provides an overview of common production practices related to irrigation, fertility and pest management of processing tomatoes. In this report, some specifics are assigned and calculations are based on a hypothetical well-managed farming operation, which is described in detail. 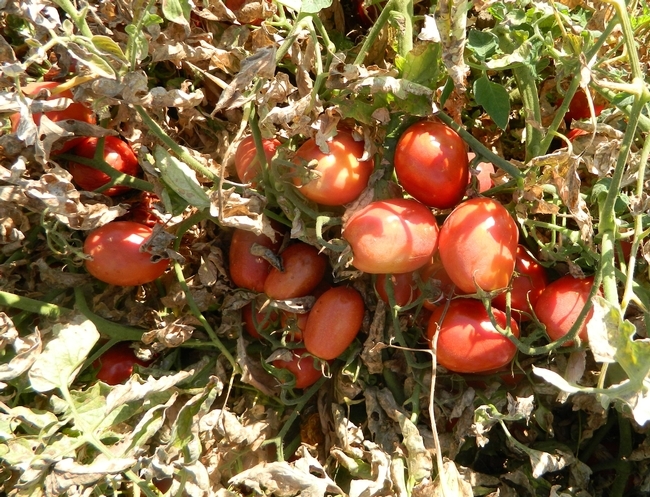 The cost study for processing tomatoes can be downloaded for free at http://coststudies.ucdavis.edu. Net profits are calculated relative to a range of yields and prices. Monthly cash costs, hourly equipment costs, operational annual equipment, investment and business overhead costs are included. The authors received input and reviews from UC Cooperative Extension vegetable crops advisors and other agricultural associates. The new study, “Sample Costs to Produce Processing Tomatoes in the San Joaquin Valley South, Fresno County – 2018,” can be downloaded for free from the UC Davis Department of Agricultural and Resource Economics website at http://coststudies.ucdavis.edu. Sample cost of production studies for many other commodities are also available. For additional information or an explanation of the calculations used in the study, contact Jeremy Murdock at the Agricultural Issues Center at (530) 752-4651 or jmmurdock@ucdavis.edu, or Tom Turini, UCCE farm advisor for Fresno County, at taturini@ucanr.edu.